In a nutshell: Open Badges for getting “recognition of the skills you learn everywhere”, the need for postnormal strategies, Social TV, Twitter engagement infographic, and “a rant in praise of the unremarkable”. Way better than LinkedIn endorsements, I hope this will soon get the popular acceptance it deserves. 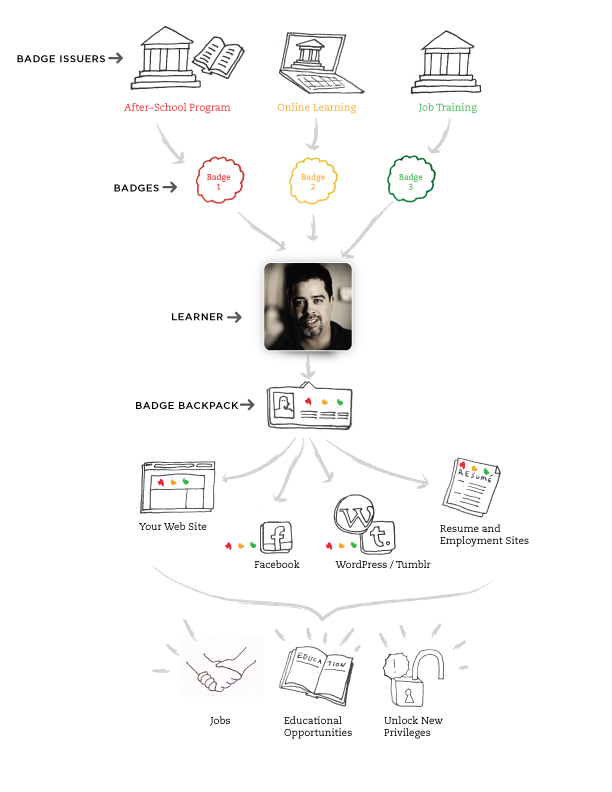 Badges are digital records of skills, achievements and participation. Mozilla Open Badges is a “free software and an open technical standard any organization can use to create, issue and verify digital badges.” You can join badges together “to tell the full story of your skills and achievement.” You can collect them from multiple off- and online sources and display them on different platforms and channels. Long-term strategic planning is obsolete. Near term strategies based around speculative design is the only hope, and yes, companies should be looking for ‘truth tellers’ who have consistently presaged major market shifts. That vision, to see the ‘turning point’ in markets, is the only means to future proof a company, now, not planning. Successful social brands reorganise their business around the telling of stories that are important for fans. One of the most honest posts I’ve seen in a long time. No “rainbow bombs” whatsoever. Nice overview of Twitter engagement data that can be useful for your content strategy.